How are the BJP rulers in Rajasthan seeking to compensate the families of those killed by the so-called gau rakshaks or cow vigilantes? According the recipe provided by a senior state official, who admitted that none of those lynched in the name of cow protection have been offered cash compensation, pointing out, their family members would be persuaded to take up "Adopt a Cow" policy of the Rajasthan government. 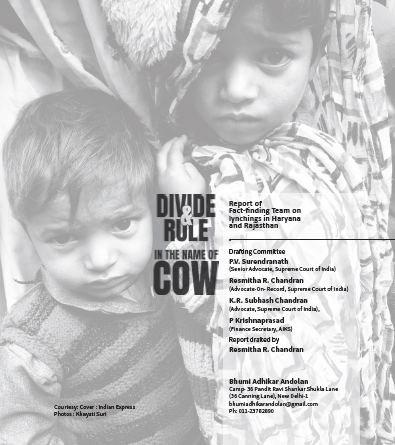 Revealing this, a new report, "Divide & Rule: In the Name of Cow", based on a fact-finding team's visit to take an on-the-spot view of things in Rajasthan, qualified as the "epicentre of lynching incidents", quotes the disctict collector, Alwar, to say that the policy seeks to "protect stray and abandoned cows", and in the district, so far, 71 cows have been adopted. Released at the land rights movement, Bhumi Adhikaar Andolan (BAA), meet in Delhi on March 21, the report says, the policy was floated after it was found that "recent interventions of the government, police and cow vigilantes preventing cattle trade has caused an increase in stray cattle." It adds, "The restrictions on the sale of cattle and the compulsive closure of slaughter houses have forced the dairy farmers to release these animals to fend for themselves. The released cattle often end up in destroying crops and hence have turned into a situation in which the administration has had to find benefactors to adopt the stray animals. Thus, the so-called cow protectors have caused the peril of the animal and lives of people alike." Prepared by a team of lawyers and civil society activists led by PV Surendranath, senior advocate, Supreme Court, those who formed part of the fact-finding mission included CPI-M MPs KK Ragesh and Badrudduzza Khan, All-India Kisan Sabha leaders Vijoo Krishan and Dr Sanjay Madhav, and senior activists from across India. 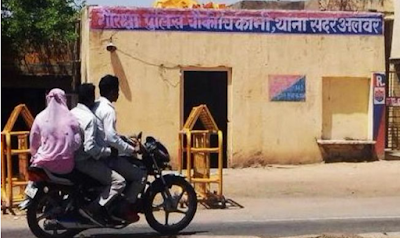 The report notes, in Rajasthan, in all there are a dozen "cow protection" police stations, all of them in Alwar and Bharatpur districts, "allegedly to control cow smuggling”, and it here that some of the worst incidents of "mob violence under the ‘cow protection’ guise has taken place." According to the report, the Rajasthan government "solution" has come against the backdrop of sharp impoverishment of the families lynched in the state. 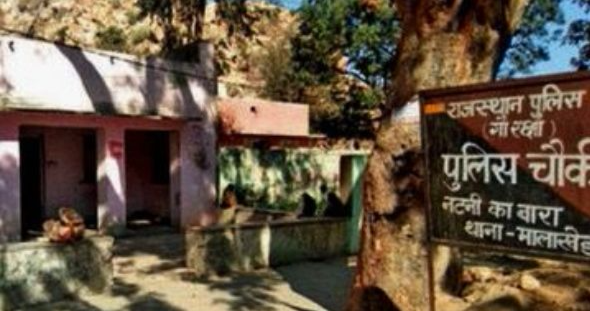 Typical is the case of Umar Khan, belonging to Ghatmeeka village in Bharatpur district, was killed by cow vigilantes and his body was found on the railway track at Ramgarh in Alwar District on November, 10, 2017. "He is survived by nine children, and the youngest among them was born premature two days after his death and out of shock. The family now lives in utter poverty and earns a little by selling milk and through occasional daily wages from rural work. Umar’s mother, wife and children are in an inconsolable state with no support or compensation coming from the BJP led state government", the report states. The report believes, the cases of lynching, in all 78, involving 293 individuals, resulting in the death of 29, are the direct result of the BJP rulers seeking to undermine the right to life and personal liberty. It underlines, "One’s right to eat food of one’s choice has no meaning, unless that food is reasonably available to purchase. Hence, freedom to trade cattle, slaughter it and to eat that meat /beef" has to be a "natural corollary of the privacy rights". Calling cow protection laws -- such as those in Gujarat, Haryana, Rajasthan, Jharkhand and Uttarakhand, where punishment for cow slaughtering is from 10 years' rigorous imprisonment to life term -- "barbarous" thr report says, "The skewed government policy and its reckless implementation has led to a situation wherein cattle owners are left with no other option but to abandon their unproductive cattle." Pointing out that cattle owning is not religion-specific but region-specific, the report says, "In Kerala, 7% Hindu and 5% Muslim households have cattle; in Uttar Pradesh, 52% of Hindu and 21% of Muslim households own cattle; and in Kashmir, the percentage of households having cattle is 37 and 57 respectively. between Hindus and Muslims." "But", regrets the report, "The curious fact that it is Muslim community that is primarily dependent on meat industry for food and employment reveals the driving force for BJP governments to implement cow protection laws in a communally charged manner." Cow is goddess in Hinduism. So, no cow-slaughter please. Due to cow slaughter, not a single village has become cow-less village in India. Every village has got huge cow and no sign of creation of zero-cow village anywhere. On the contrary, due to female foeticide in INDIA, numbers of villages are created without any girl-child. In Gujarat, Patel community is suffering from the problem of bride shortage. So, respected Hindu gentry should think of banning female foeticide more seriously than banning cow-slaughter. Otherwise, devil is waiting in h e l l for female-less communities.